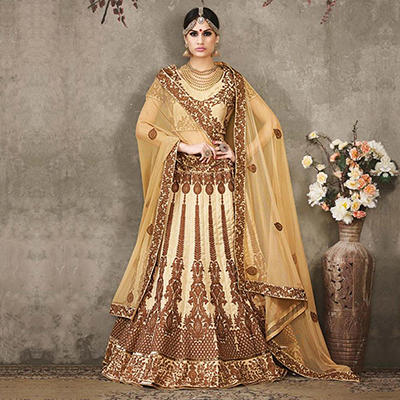 This pure silk designer lehenga choli in chikoo would make you shine in the crowd. 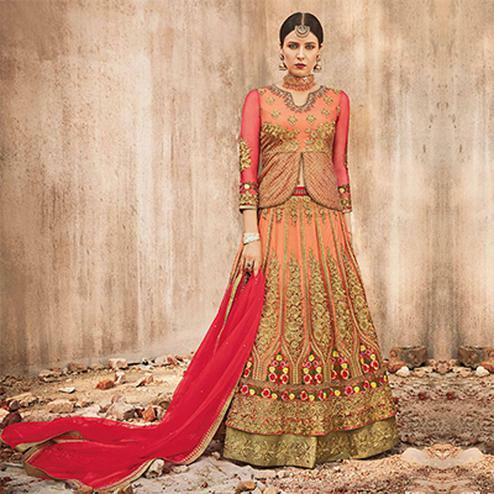 The heavy embroidered work done within the attire is beautifully completed with zari, resham & sequins work in the form of floral paisley design. The attire is perfectly finished with floral design patch border work. It's a unique & elegant wear wedding lehenga. 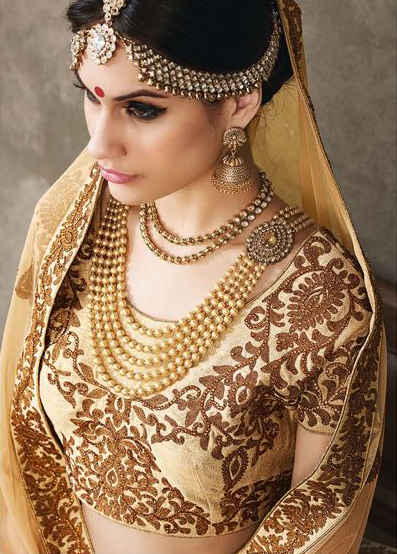 Accompanied with matching color pure silk choli & soft net dupatta.